From the launch of its HealthKit API in September 2014 to revelations this month of EHR-like work with a tiny startup, it’s clear that healthcare is in Apple’s eye. Rumors are at a fever pitch that Apple has big plans for healthcare, including putting a medical record on the iPhone, possibly acquiring its way into the EHR market. From its leap into healthcare in 2014 with its HealthKit application programming interface in September 2014 to the June 19 revelation of Apple’s work with the tiny start-up Health Gorilla, Apple has made a series of moves in healthcare that clearly indicate the company has plans for the space that will somehow manifest on its mega-popular iPhone and iPad products. Here’s a look at how Apple got to where it is today in healthcare. Apple’s health team is working with start-up Health Gorilla to add a medical data hub to iPhones, CNBC reported. Health Gorilla is adding diagnostic data to the iPhone, including such measures as blood work, by integrating with hospitals, lab test companies and imaging centers. Health Gorilla says its goal is to give physicians a complete view of a patient’s health history. The startup has raised nearly $5 million in funding. The company focuses on physicians, serving as a way for the caregivers to place orders and share medical records. The company also has a free product for patients that quickly coalesces medical data. Apple and Health Gorilla could be targeting hospitals’ inability to get a complete electronic picture of patients and so if Apple can put the patient at the center of the equation, via its own devices, then patients can use their iPhones to present all necessary medical data to physicians, wherever they may be. Apple hired Sumbul Desai, MD, a clinical associate professor of medicine at Stanford. Desai also serves as vice chair of the department of medicine and chief digital officer at Stanford Center for Digital Health. While continuing to see patients at Stanford, Desai will serve in a senior role at Apple, CNBC reported. She could join the team working on ResearchKit, HealthKit and CareKit, or work on another project; Apple has not said. 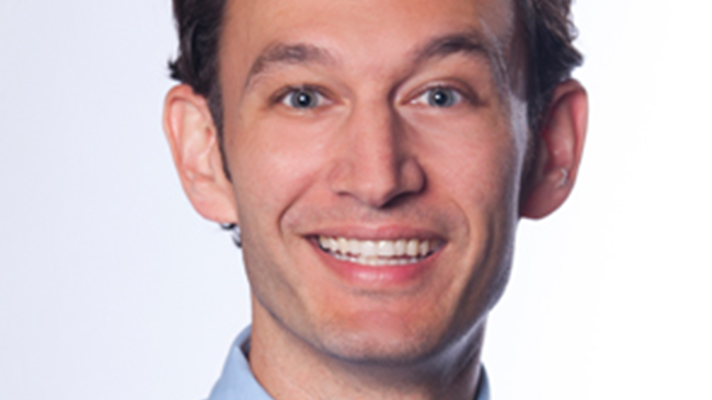 At Stanford, Desai created ClickWell Care, a telemedicine effort. She also has been responsible for promoting use of various digital health devices, including the Apple Watch. Apple has a fondness for Silicon Valley talent, as Desai’s hiring shows. In an unusual move, Apple acquired sleep tracking company Beddit. Unusual because Apple largely has eschewed the sleep tracking space even as it’s become commoditized in the realm of wearables. Sleep tracking was not part of the Apple Watch when the wearable launched in 2014, probably because users have to charge the device every night. Beddit’s website suggests that its products and experience will stay the same, at least for the moment. Beddit is compatible with iPhones and syncs with the iPhone’s Health app. Beddit launched an app for the Apple Watch in 2014. Apple hired away from Duke University a high-profile physician known for his work with Apple’s HealthKit and ResearchKit, Ricky Bloomfield, MD, director of mobile strategy at Duke. Duke was one of the first hospitals to integrate HealthKit with Epic, and to use the platform to pull patient-generated data into the EHR. The first pilot used HealthKit to track blood pressure and weight for cancer and cardiac patients. Bloomfield also helped develop Autism Beyond, Duke’s ResearchKit study designed to enhance knowledge about how autism manifests in children. Toronto physician Mike Evans, MD, has 70,000 followers on his medical YouTube channel. Apple scooped up the former staff doctor at St. Michael’s Hospital in Toronto. Evans, the CBC reported, is a mobile health enthusiast who has painted a picture on his YouTube show of a future in which he prescribes an Apple Watch app for high blood pressure. Apple did not comment on what Evans’ role would be with the company, but some industry observers speculate there will be a communications or PR component to Evans’ role at Apple. Reports surfaced that Apple had recently acquired health data-focused startup Gliimpse. The company’s mission is to collect the “bread crumbs of health data” consumers create and pull them together on one platform. By placing that process in patients’ hands, the company says on its website, it can take on problems promoting interoperability on the back-end. The primary innovation of the product is an artificial intelligence engine that reads medical records then breaks them down and codes them into a standardized language. With the launch of HealthKit in 2014, Apple has seen enabling health data sharing as an entry into healthcare, and Gliimpse fits the bill. Gliimpse’s code potentially could make Apple products more easily interact with hospital systems, or it could reinforce safety and security for the company, major selling points of Gliimpse. Apple hired Rajiv Kumar, MD, a pediatric endocrinologist working at Lucile Packard Children’s Hospital at Stanford University. Reports said he will continue working part time at the hospital and that the doctor has experience implementing HealthKit to help diabetes patients manage their disease. The president and co-founder of Sage Bionetworks, Stephen Friend, MD, was picked up by Apple to work on health projects. Friend has stayed on at Sage as its chairman of the board. 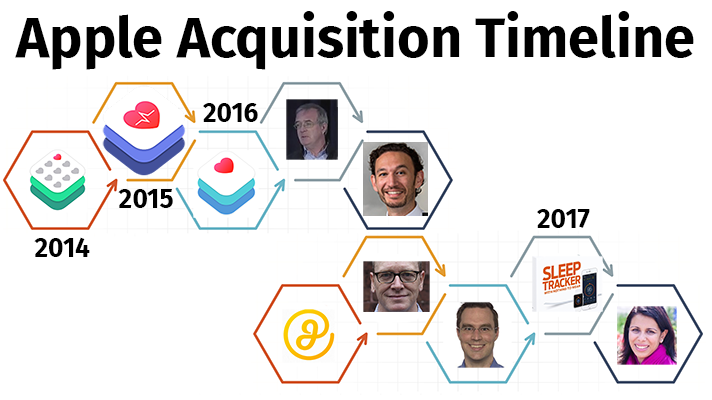 Sage assisted Apple with building its ResearchKit framework and was behind many early ResearchKit studies. Prior to his work at Sage, Friend spent nearly 10 years at Merck as a senior research executive. Following up on its HealthKit and ResearchKit APIs, Apple launched CareKit, a framework for developers to build apps that let consumers manage their own health on a daily basis. 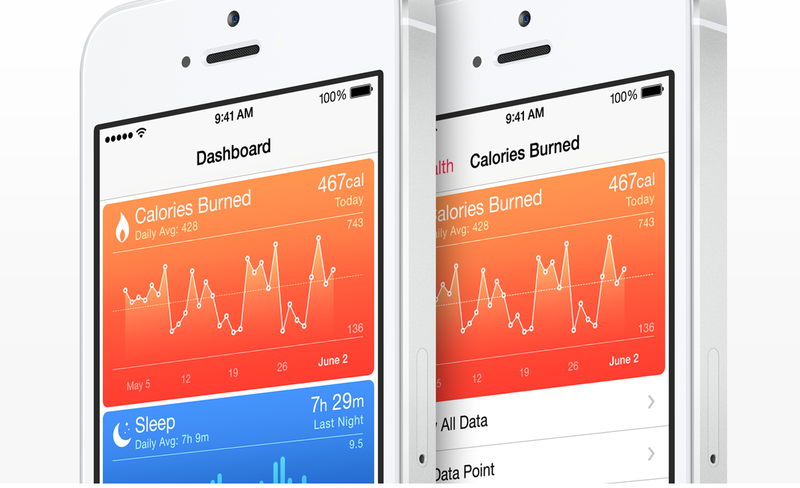 “With the right tools, you can play an active role in managing your own health,” Apple said. “That’s why we created CareKit – an open source software framework enabling developers to build apps that help you manage your medical conditions. Rather than relying solely on doctor visits, you’ll be able to regularly track your symptoms and medications, and even share the information with your care team for a bigger – and better – picture of your health.” Developers can leverage a variety of customizable modules to build apps that let consumers track care plans, monitor progress, and share insights with care teams. Apple dived into the medical arena with its ResearchKit framework. “For medical researchers, the first step to battling disease is understanding it,” Apple said. 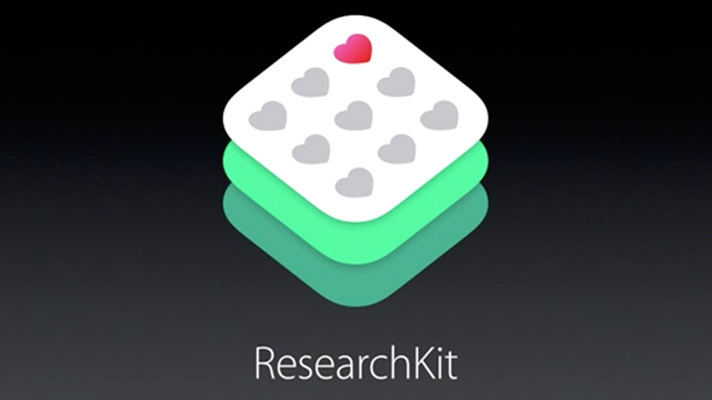 “ResearchKit is helping researchers achieve that goal. An open source framework for building apps, ResearchKit makes it easier to enroll participants and conduct studies.” ResearchKit helps healthcare organizations sign up patients to participate in clinical studies by using their iPhones. Rather than have to travel to a hospital or facility to complete tasks and fill out questionnaires, patients instead can perform activities with the sensors in their iPhones generating precise data wherever they may be.